Our organization manufactures the product named as Solution and Pusher Type Forging Furnaces, which are generally used in rolling mills. Our products are also used for reshaping and preheating of the products. We manufacture solution and pusher type forging furnaces using high-grade raw materials. These products are designed effectively sothat they have various unique features. 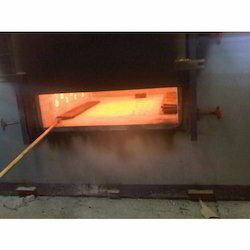 Looking for Heat Treatment Furnace ?